Once considered just a place to catch a great game, park your car, or hit a local watering hole, North Station is fast becoming one of Boston’s hottest development markets. 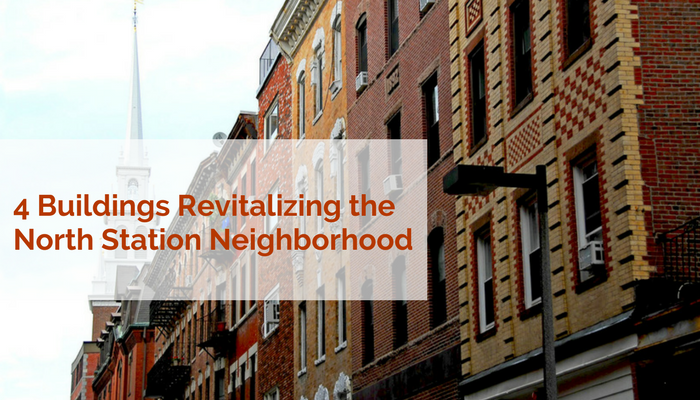 This so-called "blueprint for neighborhood-building" has been an abrupt one indeed, working in tandem to benefit residents, businesses, and developers alike, says The Boston Globe. There are four buildings in the works, with the intention of revitalizing the North Station neighborhood: Lovejoy Wharf, The Hub on Causeway, Avalon North Station, and One Canal Street. North Station is considered part of the North End, but Beacon Hill is just as close. It comprises the area around Causeway Street: the site of the TD Garden, where you can catch anything from a Celtics and Bruins game to one of many rock concerts and other performances. It's also home to a variety of nightspots and restaurants. The four new buildings are part of a revitalization plan that is slowly coming to life. Sales of Lovejoy Wharf North End have begun, with units starting at $750,000, so find out more about condo living in one of Boston's most desirable neighborhoods. Occupancy of Lovejoy Wharf condominiums is expected in Summer 2017. This will be a 1.87 million square foot mixed-use development featuring three towers with retail, office, hotel and residential uses. Phase 1 of construction is currently underway, and is expected to wrap up in late 2018. Located at 100 Causeway Street in Bullfinch Triangle, The Hub will feature 10,000 square feet of outdoor space, including a new entrance to TD Garden and North Station, 540 underground parking spaces, 75,000 sq ft of office space, a cinema, and Star Market grocery store. Avalon North Station is a 503-unit building with 38 stories, which is currently renting studios to three-bedroom units. Prices range from $2,475 to $5,235 per month. With plenty of green space, garage parking, parking concierge, and a fitness center, Avalon North Station is the perfect place to live right in the middle of all the action. Adjacent to TD Garden and North Station, this is indeed one of the city's tallest towers and the largest single residential building. Boasting many convenient amenities and breathtaking views of the downtown skyline and Boston Harbor, you can't go wrong living here. One Canal Street is a rental-only building that opened in summer 2016. Penthouses currently available range in price from $4,419 to $31,406. Featuring 320 luxury rental units, you get access to an urban grocery store on the first floor, plus two stories of parking for tenants on the second and third levels. Located between the West End and North End neighborhoods, you're in close proximity to TD Garden, Haymarket and North Station train stops, along with Downtown Crossing, the Financial District, the North End and waterfront area. You could even walk to Charlestown, and the Zakim Bridge is close by as well. One Canal has a roof deck, with fire pits and pool for balmy summer evenings. We are your trusted Buyer Broker for all of these new Boston construction condos. To learn more about each one, call us at 617-701-6300. We have many other luxury condo properties to see as well, so don't hesitate to get in touch with us now. Units are going fast, so secure yours today!